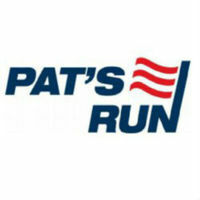 Pat’s Run is the signature fundraising event to support the Pat Tillman Foundation’s Tillman Scholars program. Held annually to honor Pat’s legacy, the 4.2 mile Run/Walk to be held on April 27, 2019 will wind through the streets of Tempe, AZ and finish at Sun Devil Stadium with a Race Expo and Post-Party. All 4.2 Mile Finishers at the Tempe race will receive the limited-edition Race Shirt and Pat’s Run Collector Medal. Registration will open in Jan. 8, 2019.